Alicia Chyenne Hughes was born February 12, 1997 in South Bend Indiana to Glenda (Henry) Singh and Victor Hughes. She departed this life on Wednesday, March 27, 2019 at Indiana University Hospital – Indianapolis Indiana. She was 22 years old. 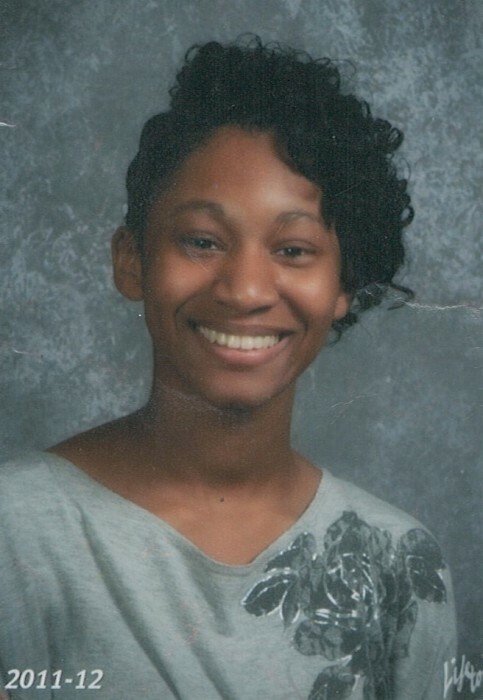 Alicia was a 2015 graduate of Pike Township High School. She was employed as a Registration Specialist with Indiana University-Riley Children’s Hospital. Alicia was a light spirited young lady who enjoyed telling jokes, acting and modeling. Surviving to cherish her memory are her mother, Glenda Henry-Singh (stepfather, Surender K. Singh) and father, Victor Hughes, sister, Analise Singh, maternal grandmother, Nellie Henry and paternal grandmother, Gustavia Hughes. She is also survived by uncles, Ronald (Stephanie) Henry, Melvin (Denita) Henry, Steve Hughes, Tony Hughes; aunts, Savannah Henry, Vivian Henry, Jacqueline (Lynn) Harris, Deborah (Milton) Hunter and Karen Henry along with a host of cousins, other relatives and friends. Alicia was preceded in death by maternal grandfather, M.C. Henry, paternal grandfather, Curtis Hughes and a cousin, Cornelius Dent.